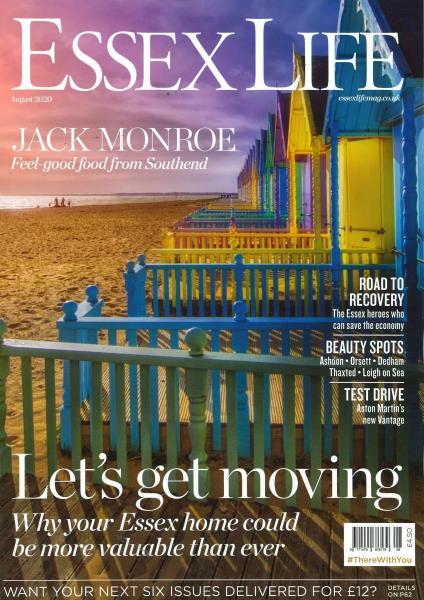 The Essex Life magazine is your window to the best of what Essex has to offer to you. Buy a single copy or subscription to Essex Life magazine. The magazine gives you the chance to experience the charm of the county through its pages. The enthusiastic description of the places to visit, restaurants and its celebrities leave you overwhelmed. It has been everybody’s favorite since its inception about fifty five years ago and is still awaited every month with abated breath to help you keep updated with latest news on the weekend getaways, dinning places, fashion trends and ways to keep your gardens and houses top-notch. The magazine is a wonderful platform for those who love to click away. You can post your lovely photographs of the Essex County in the magazine and also stand a chance to win exciting goodies by participating in its many photography contests. The magazine makes for an enjoyable read as it has contributions from the local community as well as from groups like the RSPB in its every issue. A majority of its contributors are its readers itself who very passionately talk about their favorite nature trails or their favorite bars and restaurants. It also runs a section in which the latest trends in fashion are analysed. The magazine can also be read to know about the happenings in the County. Essex Life very carefully handpicks the best festivities and shows happening in the County for you to plan a night out or a grand day with your kids on a holiday.